Now, I know, some of these are cakes, but I make most of these without the sugar, with a little salt and they make the best quick breads. There are a lot of “mug cakes”, which I do have recipes for as well, but I think of the difference thus: A mug cake is eaten from the mug, whereas the bread is removed from the baking vessel. Now I know that seems a trifle pedantic, but what makes these work so well as bread is that they can be sliced. So, let’s think of them as breads and see what we can see, shall we, dear reader? You could be a pain and question whether these are breads and you can feel free to do so. I’m calling them breads and phooey from me to you! What I love about these is that they take very little in the way of specialised ingredients, the ground flaxseed might not be so common, ground chia works too, but other than that it’s pretty basic. The recipes themselves feature numerous options, covering so many diets. The only catch is the egg is necessary for the texture and rise, the original recipe used banana if I’m not mistaken, but it was more of a cake, there are cakes in these too, but for this post I’ll focus on the bread. And, yes, this started as a single recipe that I adapted from another. It uses a total of eight (We’ll count flaxseed as a flour, shush) different flours. I’ve found success with so many, barring ground almonds, too fatty I think, so I can only imagine any free from flour would work here. This recipe is great for using up the dregs of flour as it uses so little. You can easily mix and match as needed. When made using only a single flour it really highlights the unique taste and texture of that flour. I usually make these in a jug ad they just pop right out so there isn’t much clean up. To talk at length about such mundane things is a gift, dear reader. What you have here is the closest thing to a free-from sandwich bread, no crust sadly, but you can’t have everything, without using gums or added starches. They come out springy, light, different flours yield slightly varying results, but it’s pretty consistent across the board. The reason they come out so light is because of the egg swelling, reacting to the baking powder too I assume, and setting before it can fall. The flax and flour help to stabilise. There isn’t an eggy taste as you’d imagine as the egg is well cooked through when the bread is ready. This is great for making a quick meal, spread on the nut butters and jams or slather sauce and spiced meat and eat it open-faced. It’s filling, again varying on the flour used, and you’ll find you don’t need a whole lot to make it a meal. They’re best eaten on the day, but you could probably freeze them. So, there you have it. I would have scoffed at a microwave bread if I hadn’t scarfed so many in my time. Many a time I forgot to leave out something for tea and found myself hungry and in no mood to get cooking. A quick mix up in a jug and there it is: Bread! I like recipes like these, they’re almost foolproof and if you find yourself with a free-from flour that’s lacking in uses you can try something like these and you’ll be almost guaranteed success. I primarily make them with rice flour as it’s the cheapest and least versatile flour in my cupboard. I have found sorghum delicious and wonderfully light. Quinoa works best for a cake and banana flour is slightly revolting if I’m honest. You’ll notice that the breads I use often are pretty easy to prepare, that’s hardly surprising. I’ve lost count of how many loaves I’ve made over the years. The ease of making them has helped me stick to my diet. The variety has kept me from getting bored and fed up. I hope you’ll find something to interest you in this series, dear reader. There are other breads on the site and maybe they’ll suit you better. The reason I started this series was to showcase a few recipes and to encourage people to look at the recipe page, there are so many recipes that are sadly under-loved. Perhaps if this is popular enough there’ll be another series of posts using those recipes. I’ll see you again next time, dear reader. Yeah, it’s been a good two years, but I know it when I see it. 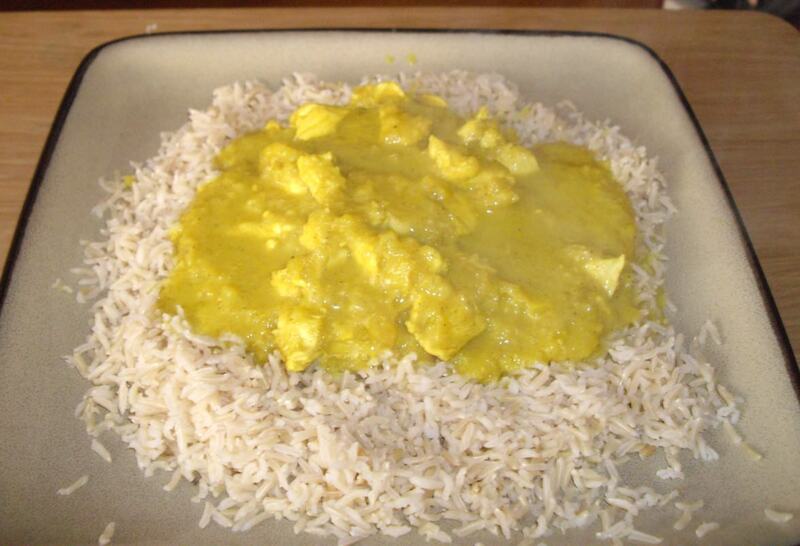 A basic curry I use for experimenting with different thickeners. You’ll notice I like to try different things with recipes and this one was born exclusively for the purpose of testing thickeners. The name comes from the slurry you make with cornstarch and water which funnily I never use, but the rhyming name was too much to resist. 1. Heat Olive Oil in a pot and when melted add Onion, Ginger and Garlic, mix and cover. Let cook for 5-10 minutes, on a medium heat, or until soft. 2. Add Curry Powder and stir together, then add Chicken, stir and cook for 5 minutes. 3. Add Stock and stir, bring to boil and then reduce to a simmer and cook for 10 minutes. 4. Mix Flour of choice and Water to form a paste and add to pot, mix until dissolved and then cook for a further 10 minutes. Rooibos/Wild Rooibos Curry: Steep two Teabags in 150ml of Hot Water while preparing everything else. Dissolve 1/2 Stock Cube in 10ml of Hot Water and add to Rooibos. Add the same time as you would stock. 1. Put everything into a bowl. 2. Whisk together until smooth and creamy. 3. Grease microwave safe bowl with Butter. 4. Cook on full heat for 2 minutes. 5. Place plate on top of the bowl and turn out. Serve hot or cold. 100g Berries e.g. Strawberries, Raspberries, Blueberries etc. 1. Pre-heat oven to 170c (No Fan). 2. Place the Berries, Sugar and Water in a pot and cook on a medium heat until soft and the juices have run out of the berries, make sure there’s plenty of liquid as the topping will absorb it as it cooks. Add compote to oven proof dish and set aside. 4. 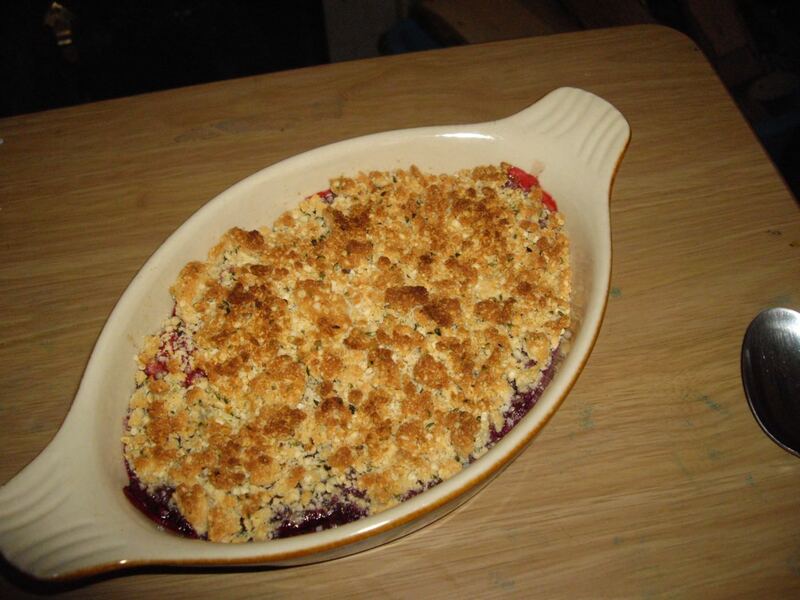 Sprinkle Crumb Mixture over the Compote and cook for 10-15 minutes until the top is golden brown. Makes one small loaf. Can be frozen. 1. Preheat oven to 150c (Fan) and place a bowl of Hot Water in the bottom of the oven. 3. In a bowl mix together the Egg Yolk and Peanut Butter, then beat in the Milk, Lemon Juice and Honey. A thick clingy Paste should form, if too dry add more Milk. Finally beat in the Coconut Flour and Baking Powder. It’s okay if it’s dry at this point as the Egg Whites will form a batter. 4. 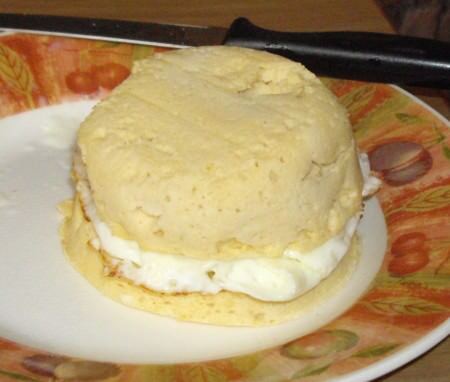 Beat the Egg White until stiff peaks form. Beat this into the mixture, making sure everything is incorporated, but also making sure not to over beat. A thick Batter should be the end result. 5. Pour into the prepared tin and bake for 30 minutes, without turning, and then cool in tin for 20 minutes, then remove and let cool completely on a wire rack.